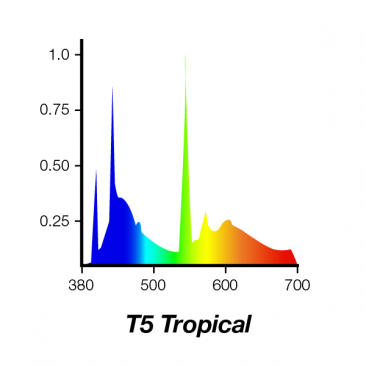 The greater intensity, deeper penetration and Higher output allows you to stock your tank with a wide range of Plants and fish, allowing them to flourish which was not possible with T8 Fluorescents. iQuatics Tropical T5 has been specially formulated to enhance the blue and red peaks, closely representing natural daylight ideal for photosynthesis. 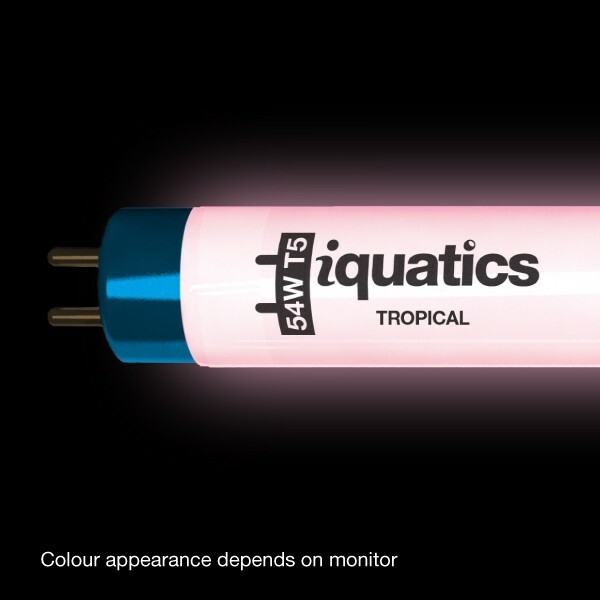 With a slight tint of pink, the natural colours of your fish will be enhanced along with a perfect amount of green in the spectrum to enhance the natural colours in your freshwater tank. Ideal for the growth of the higher light dependant plants, the bulb gives the appearance of a warm tropical tank. The light bulbs were well packaged and delivered very quickly. Great service. Easy to install and work great. Thank you! Fast delivery and really well packaged item. Seem to stock just about any bulb you would ever need. Great product - exactly what I wanted - and cheaper! Fast delivery and well packaged. I would have no trouble recommending and using this company again. Hi. 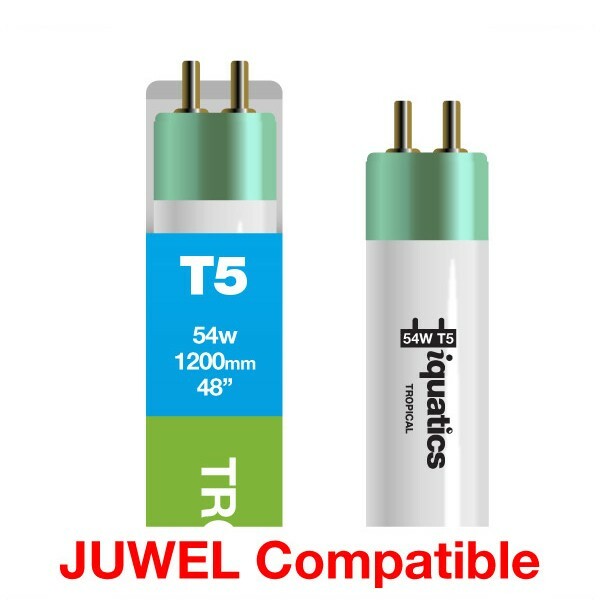 I've been having a look at your site, but I can't seem to find T5 tubes that will fit the Juwel Rio 400 unit. The standard ones are 54w I think. Do you stock compatible ones? We do manufacture the tubes that you require. They are the 1200mm 54 tubes which can be seen on the left side of the website.